Choosing short hairstyles is not as easy as it may seem. Women of all ages find it difficult to make a proper decision. The choice usually depends on what a woman wants to achieve with a new image. What changes is she looking for? What hair texture has she got? Is her hair thinning out? A short haircut can tell a lot about who you are. A business lady with a short haircut positions herself as serious and goal-oriented. In everyday life a long bang or a bright streak can soften her looks. Women tend to get ideas from watching celebrities. You don’t have to be Rihanna to have a similar haircut. The only thing to remember is to look for the same facial features (face oval, jawline, etc.) to get the result you want. When you choose to have a short hairstyle, it frames your face and adds a stylish element to your appearance. 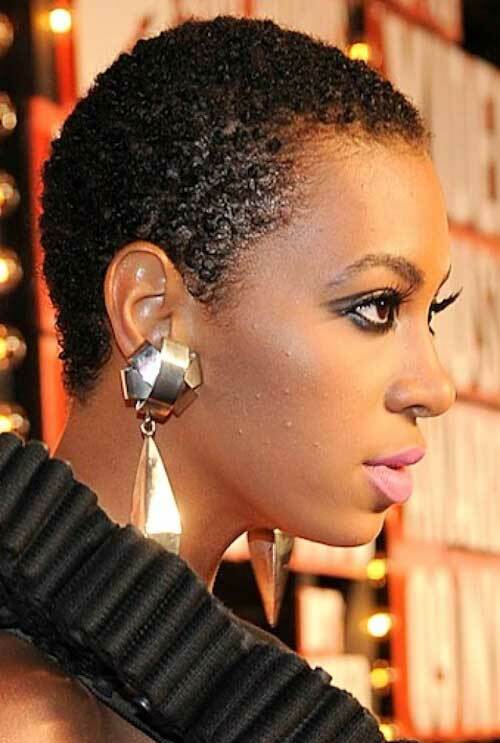 There are many short hairstyles for women over 40 which are super trendy and easy to look after as well. A quick brush with a comb and you can go out to enjoy a good walk or start a working day. Women over 40 are at the top of the charts today in terms of great hairstyles. Bobs, shags, pixies, short layers, and crops are some interesting new fashionable styles you can try as a mature woman. If your face is full, you’d better try a style which covers a part of your face to make it look leaner. If you’re the owner of fine and delicate features, go for short haircuts that frame your face making it visually fuller. If you are looking for a trendy look, choose short layers and style them falling over your face. Here are some fashionable hairstyles to give you an idea. Pixie hairstyles focus on women’s faces and highlight their eyes. 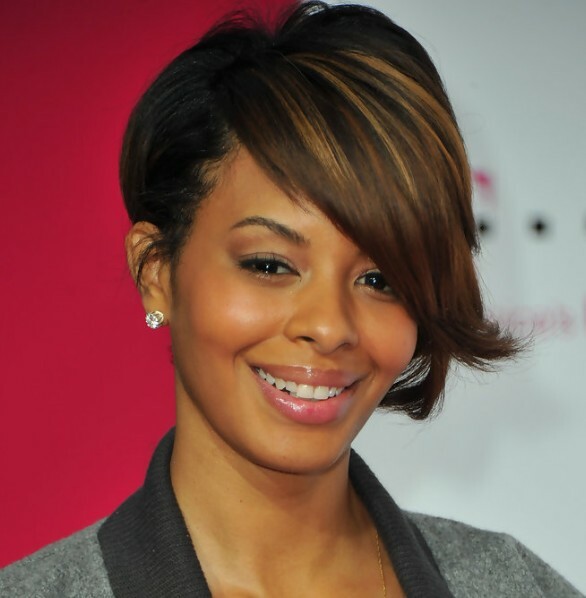 This haircut was first used in little girls’ styles but it gained its popularity among mature women as well. It is usually great for those wanting to have a funky look. It is a choice for self-sufficient and confident women. The hairdresser usually cuts the hair short with a razor. Bangs may be left slightly longer or short and edgy. It is very easy to look after because just a little mousse in the morning makes you look superb. This hairstyle from the 1970s is at the top of its popularity again. It is one of the trendiest short hairstyles for women over 40. It makes you look playful without looking childish. It is not difficult to look after. Dry blow your hair, add some mousse and style it the way you like. It is really for someone who is looking for excitement and extreme. You will be looked at. But this hairstyle is ultra-trendy. And what is more it is very easy to look after. The only thing you have to do is to wash your hair regularly. It is an eternal hairstyle which has become classics. It looks trendy if you straighten your hair. But it is cool with curly locks as well. Curly locks add romantic and lovely elements to your image. If you moisture your curls in time, you’ll get lots of admiring glances. It doesn’t matter how old you are. Classic bob will suit you perfectly. And certainly it is one of the favorite choices of short hairstyles for women over 40. Your hair is neither long nor very short. It looks stylish when straightened and girlish when in curls. It’s up to you what look to have today. These little tricks can add a funky look to your general appearance. 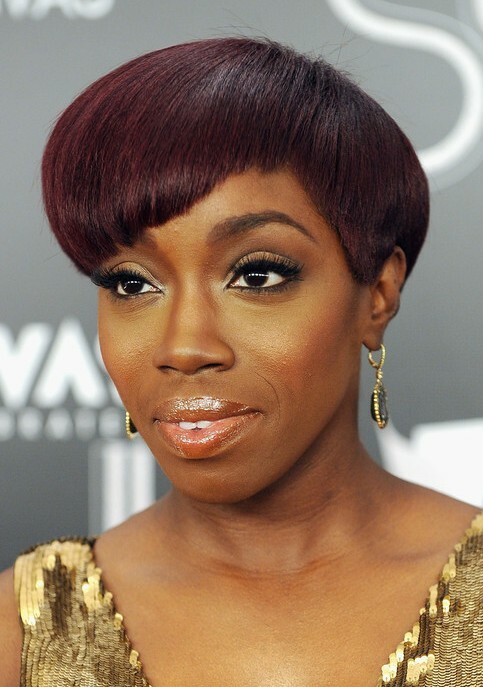 An asymmetric bang makes the face fuller and younger. It can be chosen by business women, officials and housewives equally. Short cut back and sides will complete the appearance of a trendy haircut.